The purpose of the workshop is to bring together leading experts in related areas from Sweden, Norway, and China to exchange recent advances and ideas, and to promote research and collaboration. The First China-Sweden Workshop on Computational Mathematics, was held in October 13-15, 1997, at Institut Mittag-Leffler, Djursholm, Sweden. It was organized by the Swedish Science Research Council (NFR) within the bilateral agreement between NFR and the National Science Foundation of China. This was followed by three meetings in Hong-Kong, Göteborg, and Beijing, follow this link for more details. The fifth meeting 2006 is organized by Norwegian and Swedish mathematicians together. 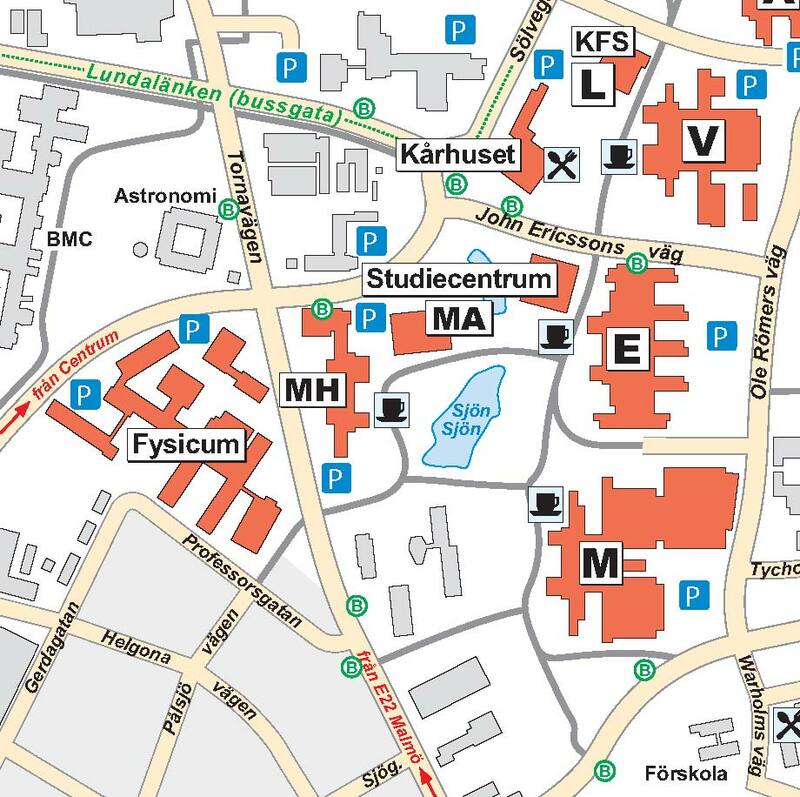 You reach the hotel easily by taxi or the local buss lines from Lund Central Station (local bus No. 3, regional bus No. 163,160 exit: Jupitergatan.) , see also the time table link below. There is a train station directly in the airport with frequent connections to Malmö and Lund. In some cases you have to change in Malmö. At the airport is a ticket counter, where credit cards, Swedish and Danish Crowns and Euros are accepted. You can make a personal time table via the link www.skanetrafiken.se . There is a possibility to select English as language. Start location Kastrup (airport), destination: Lund C (or directly the name of the hotel). Participants who reported their flight information coming from China get more detailed travel information by e-mail. The conference will be at the campus of LTH (Lund Institute of Technology) and there in the E-house (building for electical engineering). You can reach the campus by walking from the hotel (15min) or by local bus. In case you come directly from the train station, follow there the signs to Lundalänken, a shuttle bus to LTH. Leave the bus at the bus station Kårhuset. University buildings will be closed. In case you arrive individually you will need a mobile phone so that you can call to get the door opened. The phone numbers will be marked at the door. 0046 46 222 9637 from international . This page as printable pdf-file. This page is maintained by Stig Larsson.